The United Nations Climate change talks continued this week. A continuation from the efforts of Cancun, Copenhagen, and even the Koyoto Accords took place in Durban South Africa with surprising results. Two steps forward and one GIANT step backwards. We have five years left. If nothing changes by 2017, if we don’t revolutionize energy systems, if we can’t get countries to agree a climate deal, global warming will breach the 2 degrees Celsius barrier and we will be locked into runaway climate change. There are many different factors that speak to a looming disaster on the horizon of this most recent installment of talks. The fact remains that the industrialized countries of the United States, Europe and Canada want new proposals and protections and the BASIC countries (Brazil, South Africa, India, China) have their collective line in the sand wanting an extension of the Koyoto agreements. 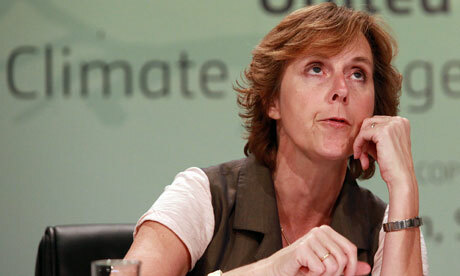 I, like many others, would congratulate Connie Hedegaard, the EU's climate chief, on her apparent victory in Durban. While BASIC have effectively pushed that through and while the UN leadership is hailing this as some sort of victory, we have to ask, how great of a victory is this really? The United States is currently not a partner in the Koyoto agreements, India and China were exempted from emissions caps on the grounds that rich countries had done the majority of the polluting, and now it seems that Canada is taking the stance of backing out of the accords instead of trying to work on a new strategy. This should not be surprising, as seen in some of Canada's more recent legislative actions. Many could argue that these actions signify more of a failure in the Climate talks than a victory. It is the base fear that setting limits on emissions and putting a monetary value on our environmental stability is detrimental to business and industry that is killing the efforts in the United States and Canada even though many experts in the past believe that this Climate negotiation and protection process will be greatly beneficial for industry. What we really need to realize here is that we have been living on easy street for a while. The true cost of our effects on the environment are starting to be quantified and tabulated in monetary values. What I mean by this is that the losses to goods, costs to health, destruction to property as a result of climate change and our pollution is starting to register a monetary value. It is evolving to something more sophisticated then the "Cap-and-Trade" concept and is now moving towards trade agreements, taxes and even self-imposed fees. The only caveats here are that this could be a pipe dream without the proper support and populist push and, as previously stated, an effective monetary solution - or solution at all may come too late. Hopefully it wont take too many calamities, temperature changes, famines, exhaustions of natural resources or wars before we really focus on this issue.